ILTACON 2016 is a wrap. All in all it was an enjoyable conference, rife with lots of interesting conversation about the intersection of of law and technology. What stood out to me this year was the increasing number of cloud-based software offerings designed to facilitate better collaboration between litigation teams. I first noticed this trend in early 2015. At the time, representatives from a few of these fledging companies reached out to me and I met with them to learn about their software. Because their products were cloud-based and focused on collaboration, I was excited to see the emergence of this new way of using web-based computing to increase efficiency and improve communication between members of litigation teams for firms of all sizes, big and small. At the time I met with representatives from Factbox, AllegoryLaw, and Opus 2 Magnum. Each of these products are designed to simplify and streamline the litigation preparation process and to allow teams of lawyers to collaborate and share notes about case-related evidence and documents. 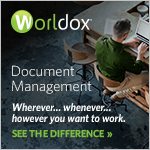 Granted, each product does so in a very different way, but at the end of the day, all three software platforms incorporated collaboration amongst litigation teams into the document management process. At ILTACON this year, this trend continued, but with a twist. 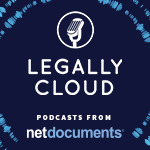 Companies began to explore ways to connect the idea of a collaborative document management/litigation collaboration platform with the ediscovery process. Typically this connection occurred via an integration but not always. For example, I learned that Opus 2 Magnum had recently announced an integration with the ediscovery company, Relativity, that made it possible for its users to load ediscovery documents stored in Relativity directly into the Opus 2 platform, so that litigation team members could prepare for depositions and trial by collaborating on the discovery documents and other case-related data. I also learned about Everchron, a newer company that also provides a cloud-based collaboration platform for litigation attorneys. At ILTACON, Everchron announced that it, too, now provided an integration with Relativity, so that its users could also import data stored in Relativity right into the Everchron platform and then begin the pre-trial collaboration process. In an interesting twist to this concept of connecting ediscovery with cloud-based case management for litigators, an ediscovery company, Everlaw, announced the expansion of its ediscovery product to include built-in collaboration tools so that litigators could begin the collaboration process during document review and then seamlessly move onto pre-trial preparation from there. This new feature, Storybuilder Chronology and Outline, streamlines the pre-trial process by allowing litigation team members to add ediscovery documents to a chronology during the review process and then label, annotate, and organize the documents contained in the chronology during pre-trial preparation. This connection between document review and pre-trial case management and collaboration makes perfect sense, so it’s no surprise that legal software companies are innovating to incorporate this convenient marriage of functions into their platforms. Also not surprising is the increasing number of players in this space. After all, cloud-based software is the ideal environment for multi-device collaboration and who collaborates more than litigation teams? Because there’s a demand, software developers are rising to the challenge and stepping up to provide a solution. Competition - and innovation - is heating up and I’m looking forward to watching these companies develop and expand their products to meet the needs of litigation attorneys. So, keep an eye on this space, folks. I have no doubt it will expand quickly. It will be interesting to watch these companies respond to - and pivot to meet the needs of - this evolving market. I, for one, can’t wait to see how this space unfolds.